In the world of financial market, the higher risks you take, the greater rate of return you may earn or lose. Does this equation apply to the practice of curation for an exhibition or a symposium at museums and galleries? 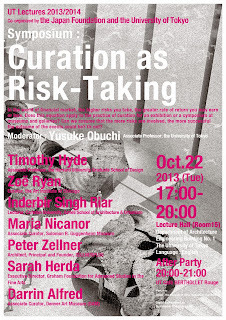 Can we assume that the more risks are involved, the more successful the outcome of the events could be? Or not? 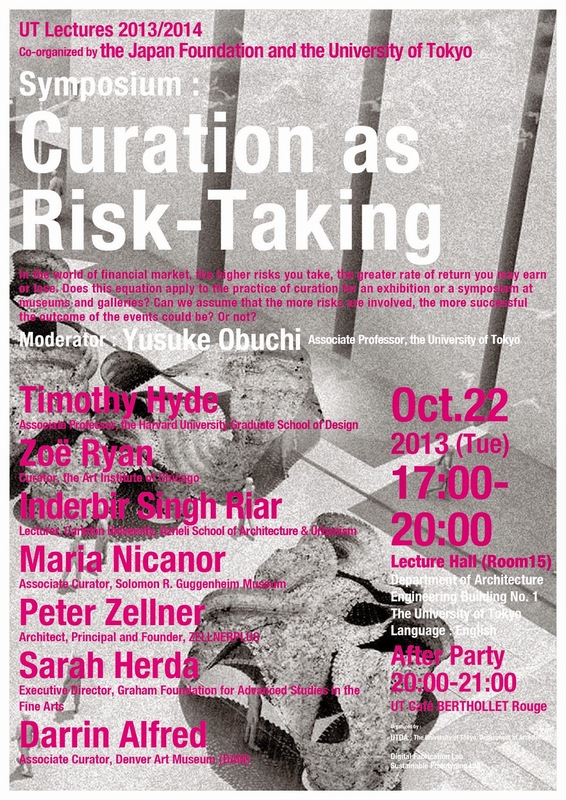 At the University of Tokyo’s Department of Architecture, 8 distinguished guests from the US and Canada are invited to participate in the symposium to discuss their personal experiences of risk-taking while curating exhibitions and/or projects.